Over the summer, I had the opportunity to work as an arts-enrichment instructor and arts-integration facilitator at the Summer Jump program in Baltimore. 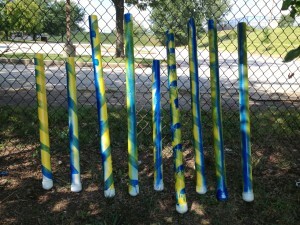 Here’s some of what we did! Tubes! 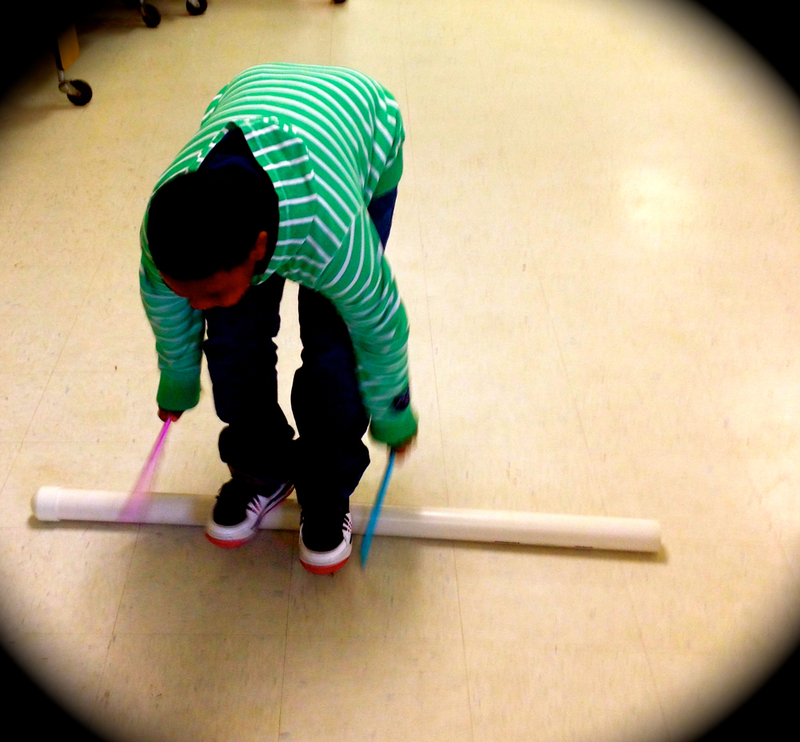 My afternoon arts-enrichment class took the Beat Tubes to another level. With a little guidance, they produced a six minute show that they performed at the program culmination. 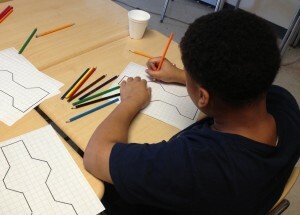 With a classroom of advanced math learners, I had the chance to try out some new arts-integrated projects. 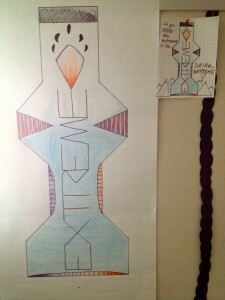 One involved developing a design for the bottle of a new beverage and then scaling the design up to a 2:1 poster scale. 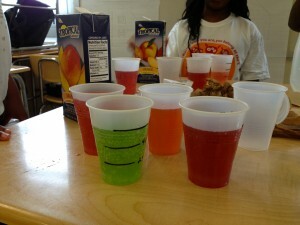 Then we followed that up with a related project where we formulated beverages to go with the bottle designs. The kids loved being able to taste their work and were very careful to record the exact recipes as fractional amounts of their whole sample. I think the kids had a great time and I believe we helped keep their summer minds active and engaged.